Funny novelty Breaking Bad apron for the Breaking Bad enthusiast. 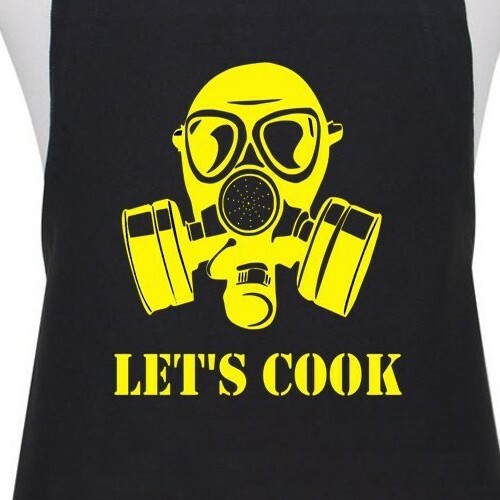 Good quality black apron featuring the slogan “Let’s Cook”. Even a non-cooker will appreciate this one! 60 degrees maximum wash.